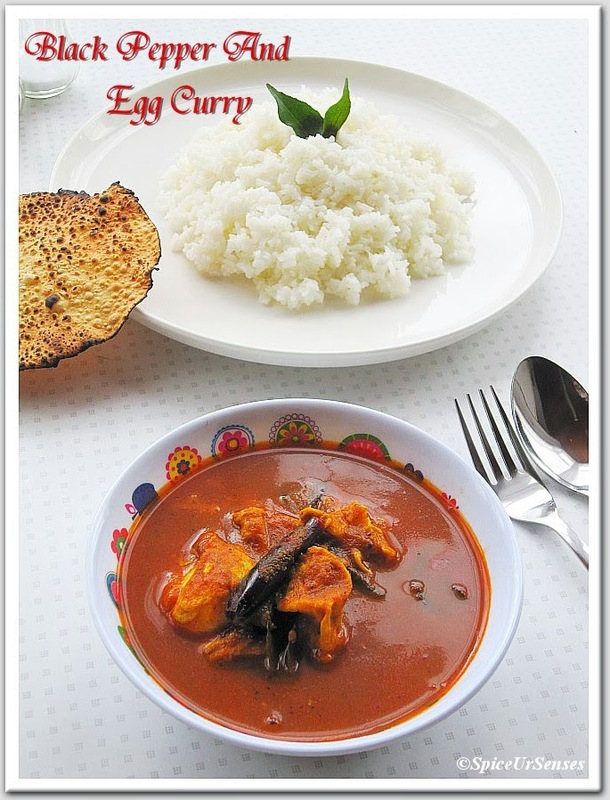 Black Pepper And Egg Spicy Curry.. In a mixer jar, add tomato, onion, green chili, coriander leaves, black peppercorns, tamarind and ginger garlic paste. Grind it to smooth paste and set it aside. In a deep fry pan, add oil, when oil is hot, add mustard seeds, dry red chili and curry leafs, when they splutter, add the ground masala and fry for 1 to 2minutes. Then add the red chili powder, turmeric and coriander powder, again fry for 2 to 3 minutes. Then add water and salt, give a quick stir and simmer the curry for 1 to 2 minutes on a high flame. 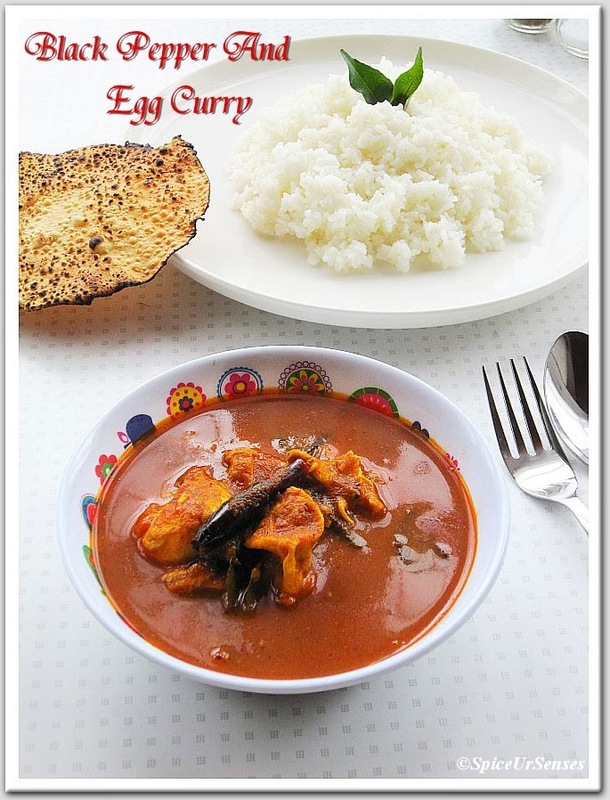 Now lower the flame and allow the curry to sit on flame for few second, then crack the 1egg at a time into a small bowl and slowly drop it to the curry side by side. Cover the lid and cook the curry for 2minutes on a low flame.. 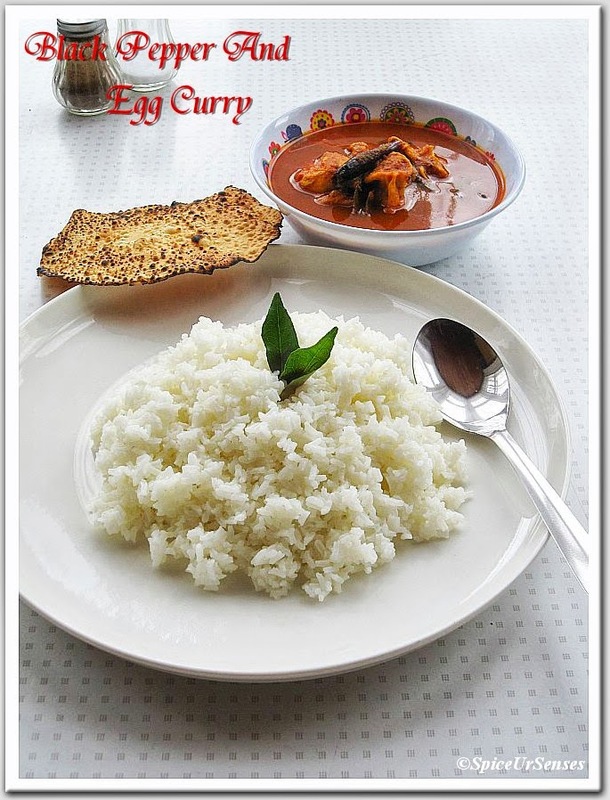 Serve hot with Plain Rice and Papad. love the color of the curry! 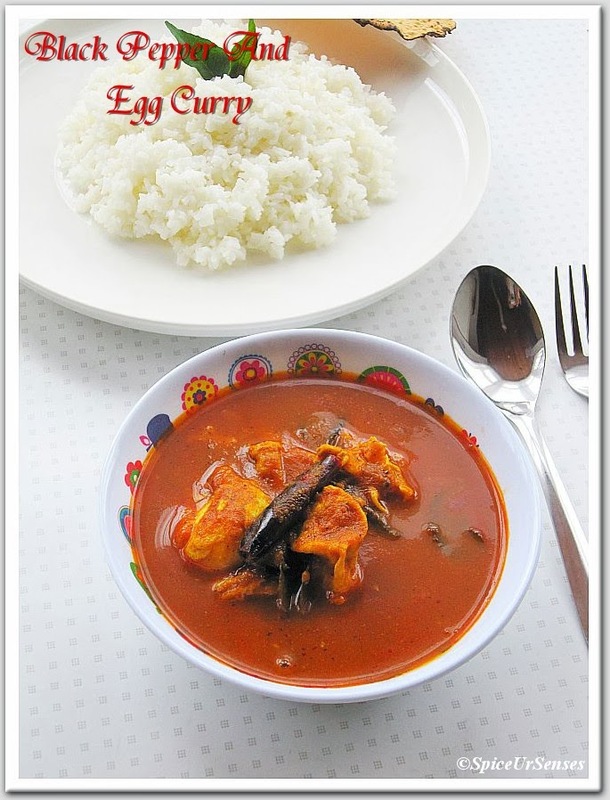 A very tempting egg curry! 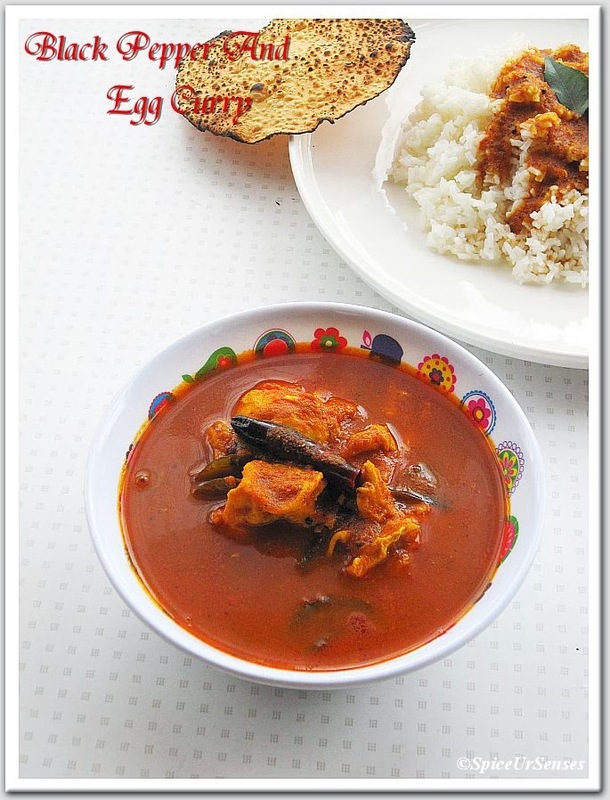 Stupendous pics of yummy looking curry. very tempting..but i should talk abt ur cliks..hw beautiful they r??!! !really rumana..very clean n neat presentation..nice. Love the colour of the curry, hot,spicy and delicious. 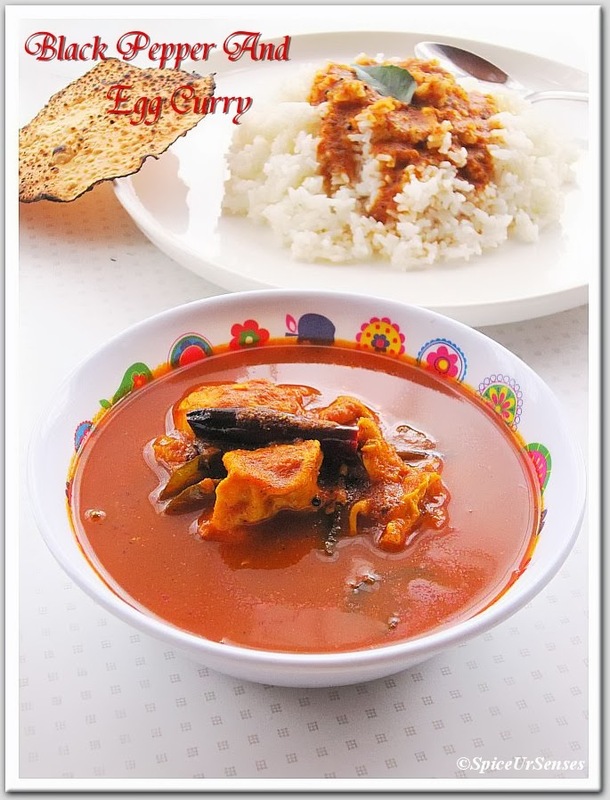 Yummy looking tempting curry...love to eat with hot rice.